For the last three years the University has been the main sponsor of the club’s academy, based at its Compton Park training facility in the city. As part of the partnership students from the University’s Institute of Sport have been involved in undertaking placements and internships in various roles within the academy, which was recently rated as one of the top academies in the country. Currently PhD sports students, Sofie Kent and Rickesh Patel, are working with the academy on the areas of sports psychology and physiology and MRes Sports and Exercise student Ben Czerepaninec is providing sports science support. And two University of Wolverhampton MRes Sports and Exercise graduates who completed placements with the club last year have now gone on to full-time jobs at the academy. 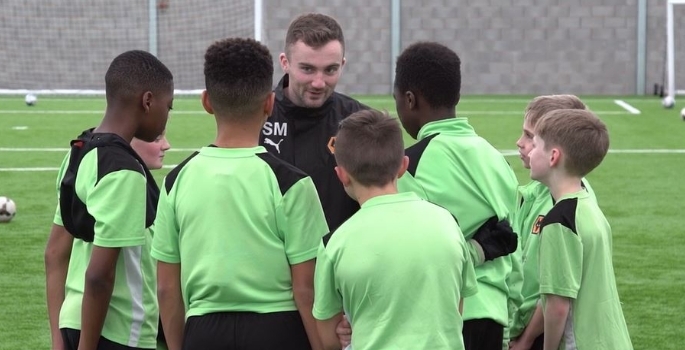 Gareth Prosser, Wolves Academy Manager, said: “We are delighted with the relationship Wolves and Wolves Academy has with the University of Wolverhampton. First and foremost, from the sponsorship and the support the University provides and support to the Academy and club as a whole, and secondly, with the opportunities we are then able to provide to the students both at postgraduate and undergraduate level. The University of Wolverhampton and Black Country Living Museum have launched a new education partnership to provide enhanced learning opportunities for communities across the Black Country.